Read more about the help that may be available if you or someone you know is caring for someone who has an illness or disability. Carer's Allowance: If you care for someone for at least 35 hours a week and the person you care for is getting a benefit because of their disability. Carer's Credits: Carers can be ‘credited’ with national insurance contributions to help them qualify for other benefits which they may not otherwise have been eligible for if their caring responsibilities prevented them from being able to work and pay national insurance contributions in the normal way. Help from the local council: If you are caring for someone, help may be available to you from your local council social services department specifically to meet your needs as a carer. All carers have the right to an assessment of their needs, although what sort of assessment, who does it and your associated rights to support depend on the type of carer you are and where you live. Income Support: If you, and your partner if you have one, are on a low income or not in full-time employment and fall into a category of people who do not have to look for work. You must usually be 18 or over but under Pension Credit age (some 16 and 17 year olds can get Income Support). Help with housing costs: If your household income is low, you may be able to claim help with rent or mortgage costs. Help may also be available to you from a charitable fund, depending on your background, circumstances and needs. Use the Turn2us Grants Search to find possible matches. In some cases, you can also make online enquiries to possible charities through Turn2us. If you need advice on your particular situation, you can find local experts using the Turn2us Find an Adviser tool. Carers Trust: Has a network of 116 independent carers centres, 55 Crossroads Care schemes and 99 young carers services. 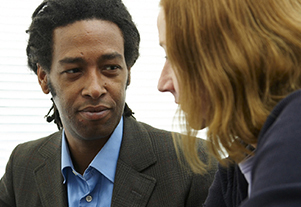 These provide information, advice and practical support to carers across the UK. Carers UK: Runs a national carers helpline - 0808 808 7777 (Mondays to Fridays 10.00 am to 4.00 pm freephone from landlines and some mobile networks - check with your supplier) - and provides lots of information and an online forum on its website to help carers.